Goodness gracious, y’all. At this rate I probably won’t even blog updates at all by the time we have our 4th kiddo. Baby Butler #3, I am so sorry sweetheart. Please know you are so dearly loved and my lack of consistent blogging isn’t a reflection of how excited I am about you in any way. We are over the moon and can’t wait to meet you in a few more months! P.S. I do feel like I’ve got a legitimate excuse (for the first time) besides pure exhaustion. My Symptoms: Week 19 was probably my worst week to date. I was ill as a hornet and it was not a pretty sight. My hubby and mom both called me out on it and said I’ve been way more emotional this pregnancy than ever before- and that only added fuel to the fire. Then week 20, it’s like a switch flipped and I’m back to my old self. Halleluyer! I don’t know who is more thankful….me or them! Other than that, energy is definitely picking up big time. I feel pretty darn good and I’m so thankful to be blessed with easy pregnancies. I feel very strong and healthy. I will most likely have stretch marks this time since I can see some faint evidence of them appearing around my belly button (which has been popped out since like week 8!). Weight/Baby Bump: Bump is pretty solid. As in, people are asking me “how much longer?” instead of “how far along?”. As of 23 weeks and 4 days, I’m up 14 lbs from my pre-pregnancy weight. My face may be a little fuller, but for the most part I think I’m pretty much all belly again. Massive, torpedo belly. Maternity Clothes: I finally bought two pairs of maternity jeans & a maternity dress (from Target- love them). Other than than I’ve just been rockin my normal clothes for the most part. Hopefully not stretching anything out too bad. That’s straight from my normal, non-pregnancy wardrobe. Sleep: I don’t feel like I have slept as well this pregnancy. I wake up a good bit during the night to alternate sides. I have to have a pillow between my knees, and I read that it’s much better to sleep on your left side than your right. If I lay on my left side for too long, my hips start aching, so I do have to occasionally flip. Movement: Wowzers! This little dude is STRONG & active. You can totally feel movement from the outside now too which is always exciting. I let Jon feel it the other day- still kinda wigs him out a little. But I LOVE it! It’s always a sweet reminder to say a quick prayer for Baby Butler #3 and thank God for entrusting him to us. Appointments: I had an appointment on 10/5. BP was 103/68. Heartbeat sounded good and strong. We had the “big” ultrasound & everything looked perfect- praise the Lord. Our sweet boy was right on track, weighing around a pound. I was 21 weeks and 2 days and my fundal height has me measuring right at 22 weeks, so that made me feel a little better knowing I’m where I should to be (since I look like I’m due any day). We took the boys with us and I think they enjoyed the ultrasound. They didn’t last long into the appointment though cuz there was a pretty long wait, so Jonathan took them put to the waiting room. They told me I’m supposed to have a glucose test, get the Rhogam and DTaP at my 28 week appointment. They also recommended a flu shot, but that ain’t happening. Accomplishments: We sold our house. We’ve been out of town for a month. We’ve packed up our entire house and our getting settled into the perfect little temporary rental. I’ve been eating WAY more veggies/salads and doing a good job staying hydrated. We also celebrated our 6th year of marriage on October 2nd! Jase took our picture for us. Best Pregnancy Moment This Week: This sounds silly, but I’ve actually had the energy to accomplish most of the tasks on my to-do lists lately. That has been very rewarding for me! I also got my hair done one day this week and had the sweetest time of worship and prayer the whole car ride there and back. I am just overwhelmed with God’s goodness and faithfulness…and I want to give him ALL the glory for everything good in my life. Work Outs: Welllll…pretty much non-existent other than walking for the past few weeks. We have literally been out of town for the last month. We went from Orange Beach to Dallas to Austin to Gatlinburg to Grapevine. And throw in a big move during that time too. Time to get back on it. We are joining a new gym ASAP and I’m excited to get back into a routine. If you’ve never looked up the benefits of pregnancy exercise, do it. It is AMAZING! Goals: Do some Bradley stretches- pelvic rocks, squatting, kegels, etc. (Sorry if TMI) Get back to the gym and get some more yoga in my life so I can hit my goal of 100 workouts before baby comes- 30 of them being yoga classes. Comparison: I have been way more self conscious this pregnancy than I have been in a lonnnnnng time. I was so confident when I was pregnant with Kade. I think I’m finally getting over that now. 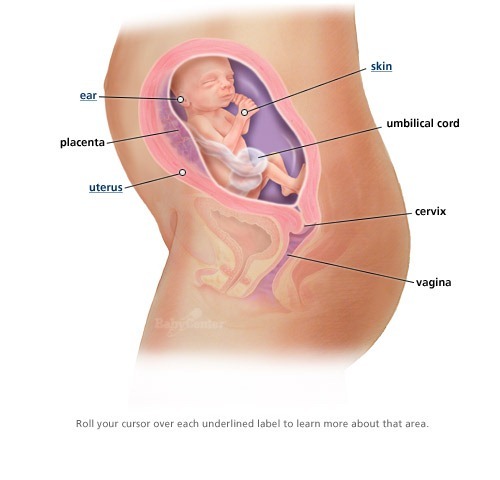 I have followed you for awhile and was curious if you have changed any of the pre-natal combos you used in the beginning? I used Advocare with my first pregnancy 4 years ago and wanted to do it again, but with lots of new products out I didn't know what you recommend. Thanks!